We have proven ourselves in the biscuit market? Arville Brayband® endless woven belts are supplied throughout the world to biscuit manufacturers, Belting Manufacturers and Distributors and OEM’s, trusted by some of the worlds leaders in baked goods. The pressure on bakeries to meet the needs of retailers and end consumers with regard to quantity and delivery times is high. 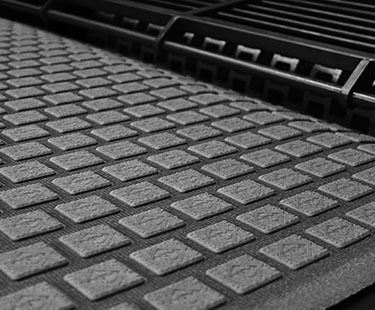 Arville endless woven belts ensure biscuit lines run efficiently with minimal downtime and fewer changeovers. Arville ensures that production lines have the best endless belts in the industry, with short lead times and to the required certification. Arville Brayband® endless woven belts are ideal for Cookies, Soft dough biscuits, hard dough biscuits, crackers, bakes snacks, individual pie lids, cream sandwiches and baked pet treats. Suppliers of machinery to the biscuit sector also are huge fans of Arville Brayband® rotary moulder and rotary cutter belts. The consistent quality and high durability assist manufacturers in maintaining their reputation for high quality machines. Our endless woven belts are designed to be suitable for use on all makes and models of rotary moulder machinery from small-scale table top versions right through to full-scale mass production lines used in large plant bakeries. This makes our woven biscuit belts suitable for OEM’s. Although the Brayband® name is exclusive to Arville. Our belts are also supplied by resellers. So you never know your machine may already be running with an Arville rotary moulder belt.